We frequently hear about Google penalties that don’t even exist or just a myth. These Google penalty myths start surfacing when experts misread a Webmaster Tools message and interpret it in their own understanding. Being digital marketers, we are quite frequent to the rumors pertaining to Google and its algorithm refreshes that the company issues upon guideline violations. Over the years, Google rolled out several algorithms to ensure fair practices across its web properties by webmasters. These algorithm updates and resulting penalties helped Google weed the spam out at a greater extent. Although, Google’s algos are there to install fair practices and fix spam, not every update leads to a penalty. We frequently hear about Google penalties that don’t even exist or just a myth. They start surfacing when experts misread a Webmaster Tools message and interpret it in their own understanding. What you need to understand here is that Google doesn’t punish everyone for everything. The article is an attempt to outline facts and myths associated with most discussed Google Penalties around the web. Google, the search engine conglomerate has two types of penalties to issue in its index- Manual and Algorithmic. It’s a manual penalty applied by Google’s anti-spam team. The penalty removes a website from search engine result pages if it’s found to be involved in spam of any kind. Such penalties are applied automatically by an algorithm. Likewise, they also hit websites with dropped rankings if they are found to be involved in guideline violation. Manual penalty can be dreadful if it isn’t fixed on time. They can wipe your website out of the SERPs entirely. Manual penalty is meant to punish websites that manipulates search results in some ways. Algorithmic penalty, on the other hand, takes a toll on website’s online visibility. The penalty considers actions on the basis of some kind of criteria such as thin content or paid links etc. If your site is perceived as having thin content or spun content, your ranking may drop until the google refreshes the algorithm again. We are listing here few of the most discussed Google penalties, myth associated with them and the facts. Any such penalty doesn’t exist at all. It’s rumored that if your website is found to be involved in any sort of content duplication whether on the website or in form of content syndication, your website will be punished. What you need to understand is that duplicate content itself damages website’s visibility and user experience across the website. Google’s inbuilt algorithm detects duplicity in content. Websites that copy entire content or few of its sections. from other sources and publish at their platform, lose their visibility in the SERPs. Eventually, the website from where the content is originated gets edge over others in SERPs. If your website is in possession of a few duplicate pages, it won’t be of much impact. However, it’s recommended to create your own content instead of using other sources or syndication. In addition, you can also use a rel=”canonical” tag to indicate original pages. In Google’s term, it’s unnatural link penalty which is meant to punish websites that are found to be buying or selling links. 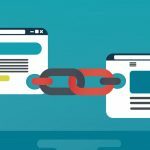 Google applies unnatural link penalty to website if it’s found to be involved in obtaining links using unnatural means in large quantities. Google advocates natural linking that connects different sources for better reading and learning experience. Avoid endorsing paid links or getting involved in any sort of paid link farms from your website. All these practices are deemed malicious and against Google guidelines. If Google detects your website involved in paying for links, it may result a full disappearance from the SERPs until the paid links are removed. The partial match penalty is also called single keyword penalty that applies only to certain portions of your website. The penalty occurs if your website is found to be in violation of Google guidelines related to a specific page, URL, link, and so on. If this happens to be the case, it can penalize that specific item, while the rest of your website is left intact. For example: If your online gadget store has been placing too many unnatural links in spam looking guest blog posts to rank well for the keyword “Xbox 360 Deals,” it can simply remove your website out of the SERP for that keyword. Rest of your keywords would remain intact. Google hasn’t designed a penalty so far to punish a website found to be over-optimizing their website. That means over-optimization penalty is more less a myth. However, the methods and strategies being used during optimization may put your website at risk of Google penalty, whether manual or algorithmic. Therefore, avoid building a ton of links with specific anchor text, or writing hundreds of keyword-stuffed blog posts. They eventually may lead to penalties. Another rumor that needs busting is – “if your website has too many URLs, it can be penalized.” There is nothing like a 404 penalty. However, increasing instances of 404 not found pages can create problems for your website in other ways. They can annoy visitors visiting your site. That results in bounce rate that eventually happens to be an important metric to measure rankings. What we recommend: Keep 404s Not Found pages low and eliminate them wherever possible. Google doesn’t run an algorithm to put slow loading websites under knife. Slow site penalty is a myth. Having said that it’s important to jot down that Google does favor faster sites in its search results. If Google is given a choice to rank two websites on the basis of site loading speed, the search engine will choose one that loads 2 seconds faster than the other. Guest blogging penalty is a myth in its own. However, if your blog is found to be involved in low quality guest posting with little or no original content, your blog rankings could be dropped.